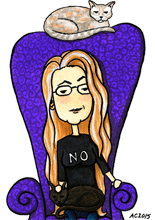 This rather morbid watercolor was one of my unValentines this year, a cross between a tradition and realistic heart. The blood red paint dried in thick pools and was allowed to drip naturally, nearly to the bottom of the card — in its frame, the chrome picks up the reflection as it disappears at the bottom edge. Blue veins call to mind a real heart as they trace across the surface. 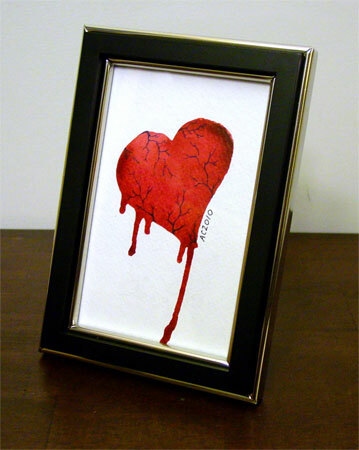 My Heart Bleeds, 4″x6″, watercolor on watercolor postcard.